ap-pre-ci-a-tion – n. 1. Recognition of the quality, value, significance, or magnitude of. 2. A judgment or opinion, esp. a favorable one. 3. An expression of gratitude. 4. Awareness or perceptions, esp. of aesthetic qualities or values. 5. An increase in value or price. (Webster’s II: New College Dictionary, Boston, MA: Houghton Mifflin, 1995). October, known as Pastor’s Appreciation Month, is passed and you might be wondering what to “get” for your pastor this year? Here’s a suggestion: don’t get him anything, do something for him. Pray. Pray for him, his family and his ministry because it directly affects you. (If you don’t believe me read Hebrews 13:17). Speaking candidly as a pastor who has received numerous cards and handwritten notes and email expressions of appreciation in October and generous gifts from grateful people at Christmas, it is becoming increasingly important to me that people spend time at the throne of grace for me. If you are a church member and you want to appreciate your pastor for the next eleven months, and do yourself some good in the meantime, pray for him. Let me let you in on a little secret. Any pastor worth his salt (or salary) will tell you that prayer from those to whom he ministers is a great comfort. Your pastor’s mind is one of his “tools” for biblical exposition. But more than that, his mind is also in need of the Spirit’s renewal! His mind is the target of the enemy, too. Just like you, his mind needs renewing in the truths of Scripture (Rom 12:1-2). There’s lots of things to see in this world, but his eyes need God’s protection from “worthless things” (Ps 101:3; 119:37). Pray for him that he will long to see God’s salvation (Ps 119:127). Our world is filled with sounds. A pastor hears many things, both good and bad. Pray that he will have ears that hear the word of God carefully (Ps 44:1; 78:1). Pray that his ears never grow dull to biblical truth (Matt 13:15, 16; 11:15). Pray that God’s ear will be open to his cries (Ps 130:2). Pastors preach. They must think, create words and communicate them to you. Pray that God will use him as his mouthpiece of wisdom for your good (Ps 37:30). If your pastor can sing, pray that his mouth will be filled with a new song of praise (Ps 40:3; 51:15). Even if he can’t sing, pray that his heart will be filled with melodies to the Lord (Eph 5:19). Pray that God’s Word will taste like sweet honey to his mouth (Ps 119:103). Jesus said that out of the heart, the mouth speaks (Luke 6:45). Pray that his heart will remain steadfast for the work given him by the Lord (Ps 57:7; 108:1). We all have experienced divided hearts, loving the Lord one day and far from him the next. Pray that your pastor, who also experiences these temptations, will be given a “united heart” (Ps 88:1). Pray that he will rejoice (Ps 19:8) and meditate in pleasing ways before the Lord (Ps 19:14). Hands are for working. We use them every day, all day. 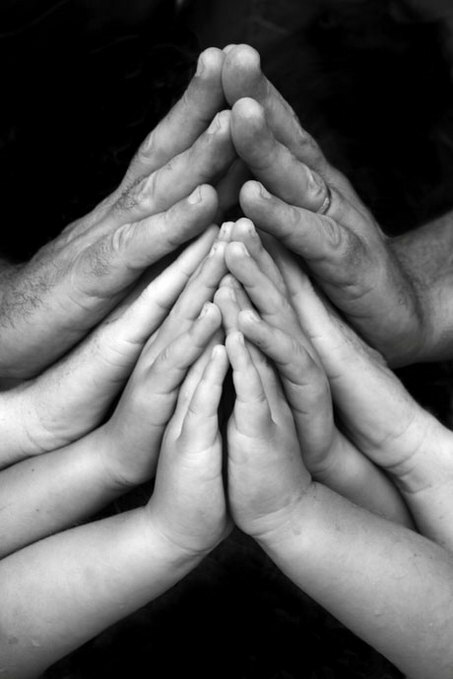 Pray that your pastor’s hands are clean and his heart pure (Ps 24:4). Pray that he will take time for prayer and worship (Pss 28:2; 63:4; 143:6). Pray that God will give him courage and strength for his work (Luke 9:62). Pray that he clings to Christ (Ps 119:31). Typically, biblical writers use feet as a metaphor for our conduct in the world. Your pastor needs prayer so that his feet won’t slip from faithfulness to God (Ps 17:5; 18:33, 36; 73:2). Pray that he is guarded and guided from evil (Ps 119:101). Pray that God’s word will be a lamp to his feet (Ps 119:105). Charles Simeon, Evangelical Preaching (Portland, OR: Multnomah Press, 1990), xxxii. John Stott, who is reported to have patterned his life and ministry after Simeon’s, wrote the “Introduction” to this volume of sermons.